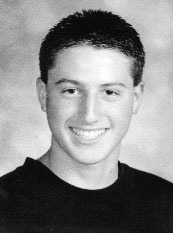 As a senior at Claremont High School, Matthew Kaplan was editor of the school's award-winning newspaper, the "Wolfpacket". He was also Inland Valley sports correspondent for the L.A. Times, and a writer for "School Sports" national prep magazine. On the court, Matthew received the Basketball Coaches' Award in 9th and 10th grades, presented to the athlete who best exemplifies athletic and academic excellence. He continued his high academic and leadership achievement by becoming a lifetime member of the California Scholarship Federation. Additionally, Matthew was a Scholar Quiz/Decathlon Winner, participant in the National Honor Society Student Leadership Conference, and a California Rotary Youth-Leadership Award recipient.